1). 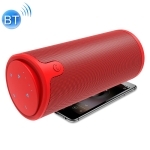 the bluetooth 4.0 chipset stable signal transmission, powerful audio decoding, operating distance up to 10 meters, Superior Compatibility, works with all the bluetooth enabled electronic devices including smartphone, smart tv, notebook, MP3, etc. 2). 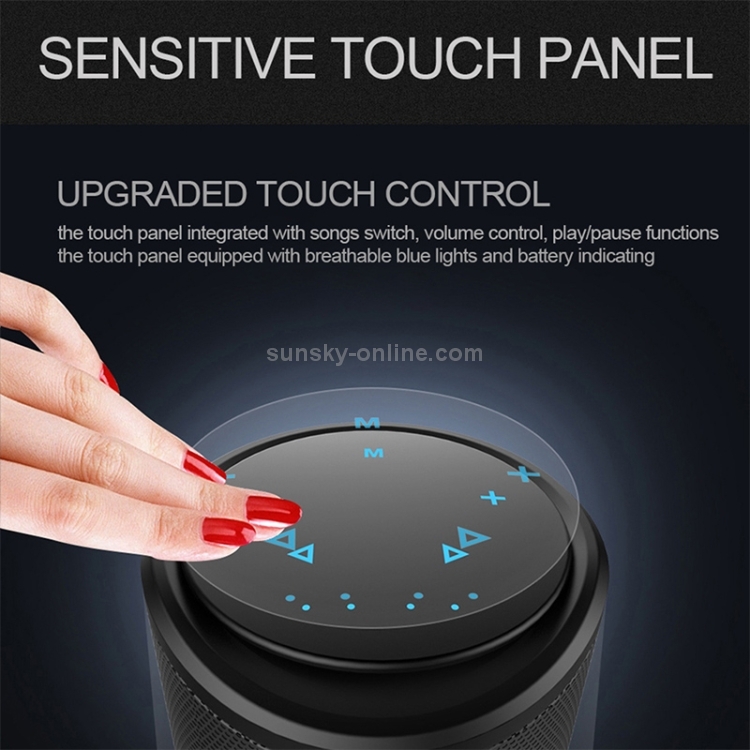 integrated with sensitive touch control panel, songs switch, play mode switch, volume control, play / pause. 3). 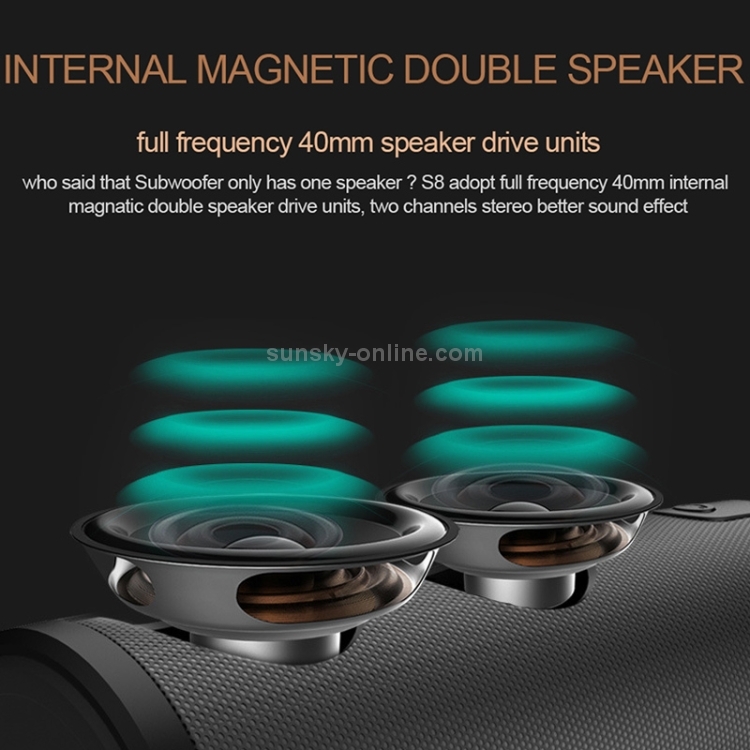 dual high definition speaker drive units, 2.0 Channel 360 degree surround powerful bass and stereo HiFi sound effect. 4)​​​​. 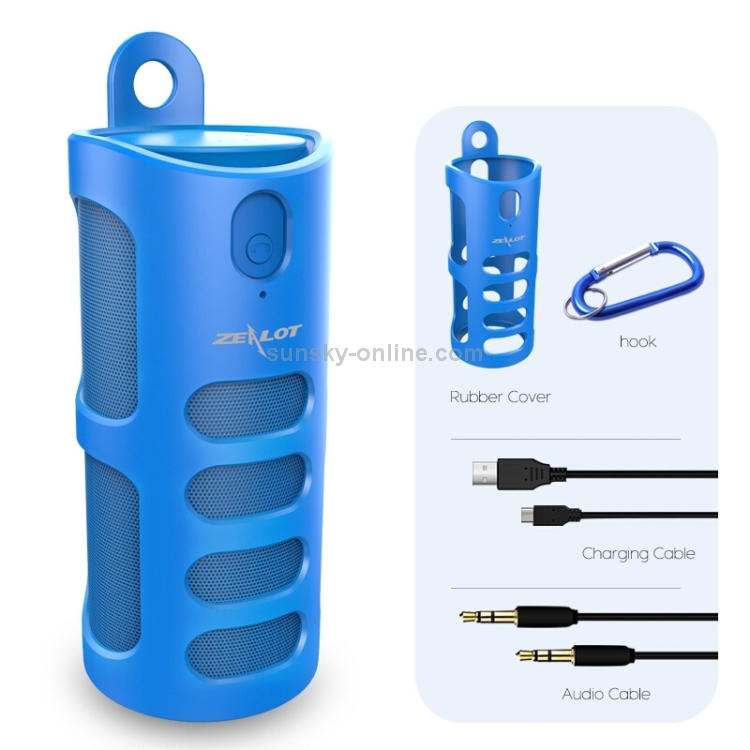 Support AUX Line-out Music Play Mode, USe A Standard 3.5mm Audio Cable Connect The Speaker To Mobile Phone Or Tablet PC To Play Music even when your devices without bluetooth function, can be used as a wired speaker. 5). built-in Micro-SD Card Slot, Support TF Card Play Mode, Insert A TF Card With Downloaded Songs To Play Music, support MP3 / WMA format songs. 6). 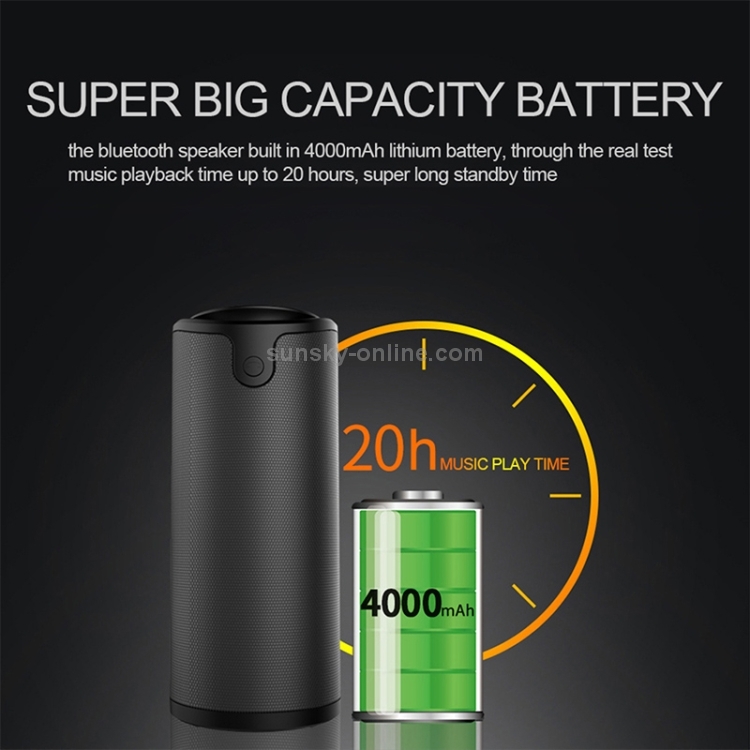 the speaker built in 4000mAh Super big capacity lithium battery, extremely long standby and using time, the talk time / playback time up to 20 hours. 7). 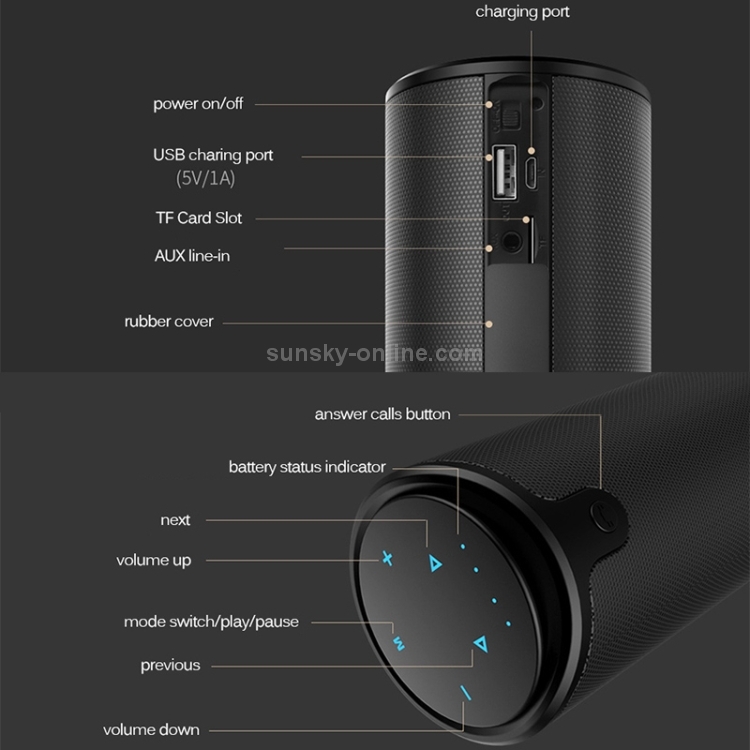 the speaker with USB Charging Port, the 4000mAh battery can be used as a power bank to charge the mobile phone. 8). 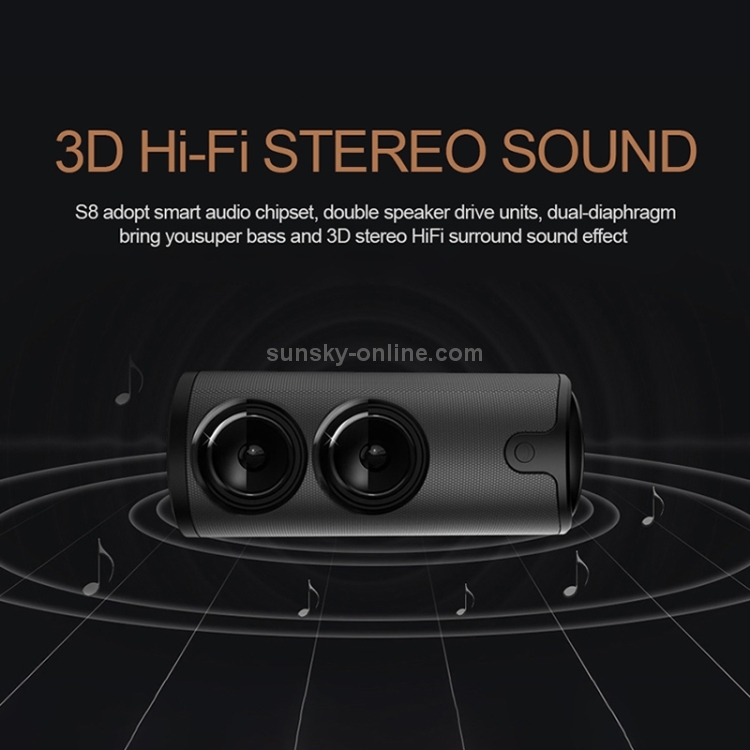 Noise Cancelling Support HD Talking, built-in sensitive HD microphone, handsfree support to answer incoming phone calls even when it play music or when you&apos;re driving. 9). Zealot Exclusive APP built-in hundards of cloud radio stations including Variety Shows, Online Music, News, Sports Channel, etc. The APP Also Has Pedometer function.